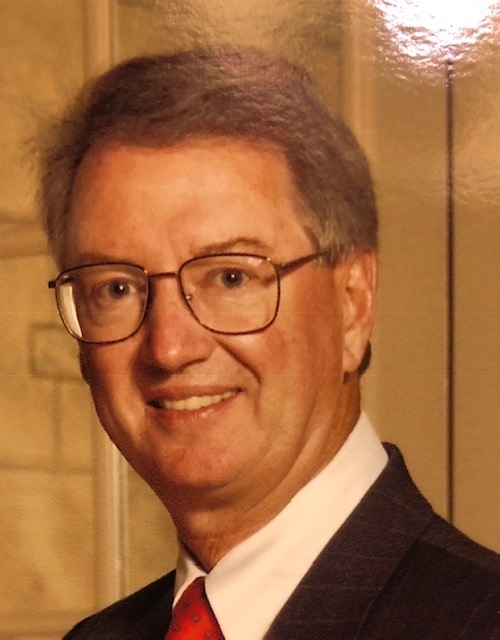 Roger L. Roepke of Cokato passed away at Abbott Northwestern Hospital on January 14, 2019. Funeral Service: 11 AM Saturday, January 19, 2019 at Evangelical Lutheran Church of Cokato. Visitation Begins 1 hr. before service at church. Roger LeRoy Roepke was born on May 3, 1944 in Glencoe, Minnesota to Loren and Gladys (VonBerge) Roepke. He grew up in Round Grove Township on a farm between Brownton and Stewart, MN. He graduated from Brownton High School in 1962. After high school, Roger attended Winona College where he earned a bachelor’s degree and played on the college baseball team. He later joined the US Army and was stationed in San Diego. After the army, Roger returned to Minnesota and taught school in Walnut Grove, Brownton, and Hutchinson. While teaching, he was recruited into the insurance business and in 1974 came to Cokato as an agent for State Farm Insurance. He retired in 2005. On September 6, 1986, Roger married Joyce Annette Young. The couple made their home in Cokato. Roger had many hobbies, including golf, fishing, and snowmobiling. He enjoyed baseball and played for the DC Saints. He was a member of the Lions, the Ridge Runners, and the Evangelical Lutheran Church of Cokato. Roger passed away at Abbott Northwestern Hospital on January 14, 2019. He had reached the age of 74 years, 8 months, and 11 days. Survivors include wife Joyce of Cokato; children Brent (Karna) Rice of Excelsior, Steve Rice of Bloomington, Leigh (Troy) Sangren of Glenwood, Lynn (Scott) Anderson of Montrose, and Kelli (Tad) Palmquist of Warroad; grandchildren Kristina Rice, Lauren Rice, Tommy Rice, Jayson Rice, Annelise Rice, Jack Palmquist, Jase Palmquist, Emily Haan, and Ashley Haan; sisters Darlene (Ed) Kirchoff, Noreen Prinkey, and Joni (Kenny) Dose; brother Marlen (Nancy) Roepke; nieces, nephews, other relatives, and many friends. Roger was preceded in death by parents Loren and Gladys Roepke and a son, Paul Roepke.